Cruise also confirmed the summer premiere dates with a teaser video on Twitter. 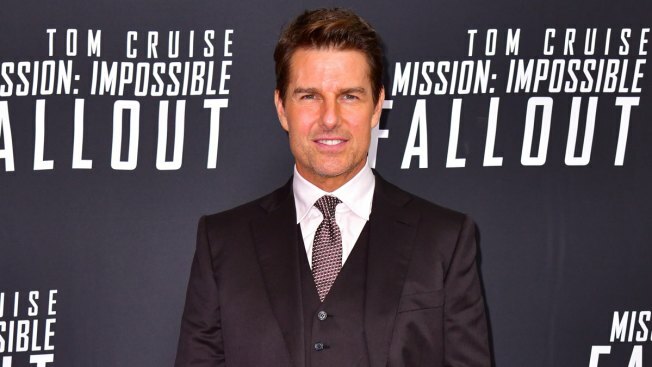 Tom Cruise has chosen to accept two more impossible missions. Variety revealed Christopher McQuarrie has signed on to write and direct the next two films in the popular "Mission: Impossible" film franchise. The sequels will be shot back-to-back "in order to take advantage of the popularity of the series," according to the trade. Cruise and McQuarrie later confirmed their involvement via Twitter, as well as the films' 2021 and 2022 release dates. "Missions: Accepted #MissionImpossible," McQuarrie tweeted. It's no surprise that Paramount would want to continue Ethan Hunt's story. Last year's "Mission: Impossible - Fallout" became the highest worldwide grossing entry in the franchise with $791 million, and it was one of the best reviewed films in the series (with a 97 percent fresh rating on Rotten Tomatoes). "Mission: Impossible - Fallout" also won Best Action Film at the 2019 Critics' Choice Awards Sunday, becoming the first film in the series to achieve this (and the second installment to be nominated, after 2015's "Mission: Impossible - Rogue Nation"). Earlier in the night, McQuarrie played coy on the red carpet about whether he'd return for another chapter. For now, Cruise will continue filming "Top Gun: Maverick" (which McQuarrie wrote). Outside of the Mission: Impossible films, the duo have worked together on "Valkyrie" (2008), "Jack Reacher" (2012), "Edge of Tomorrow" (2014), "Jack Reacher: Never Go Back" (2016) and "The Mummy" (2017). At this point, it's unknown which other actors from the Mission: Impossible series will return. Since the first film premiered in 1996, the series has grossed $3.57 billion worldwide.